Editor's Note: This article has been amended with a comment from an executive with the National Reverse Mortgage Lenders Association, which has been added to the end. Arlene Hill needed a financial lifeline. She thought a reverse mortgage would provide it. Now the 82-year-old widow is fighting to keep the home she has lived in for 45 years. 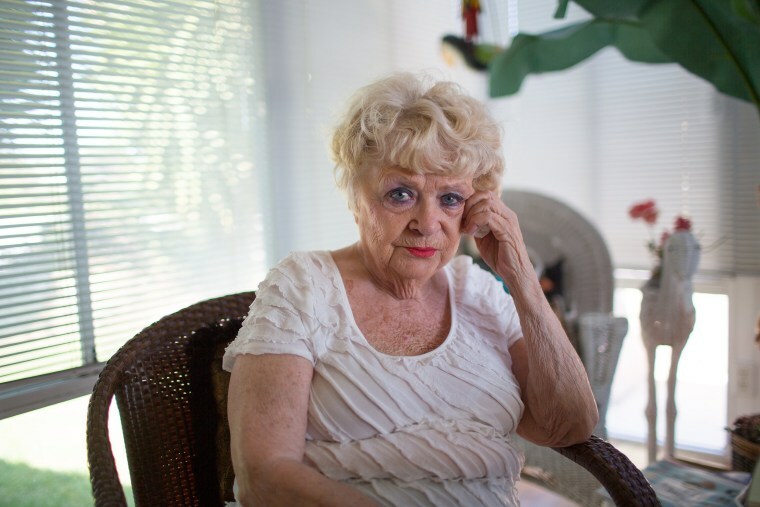 Regulators have long been concerned that reverse mortgages -- a type of home loan that allows older homeowners to access the equity in their homes and defer payment until they die, sell or move out – can put homeowners like Hill in financial peril. All too frequently, they say, brokers don’t clearly outline the potential risks of such an arrangement and homeowners don’t understand what they are buying. Hill says that she was both confused about the terms of the reverse mortgage she took out on her Simi Valley, Calif., home and misled by a broker who was eager to close a sale. In 2009, with her husband, Herb, unable to work after suffering a stroke and the onset of dementia and their $345,000 interest-only mortgage on their house due to require principal payments soon, Hill listened when a telemarketer cold-called her to pitch a reverse mortgage. “I thought, ‘Gee, that would be just wonderful,’” she told NBC News. At closing, however, the deal got more complicated: In order to qualify for the loan, the broker told her, the Hills would need to pay $180,000 – roughly 90 percent of their savings – to reduce the debt on the home. And Arlene Hill would have to remove her name from the title so that they could qualify for a bigger reverse mortgage based on her older husband’s age. The broker assured her that she could easily be reinstated onto the title. “He said, ‘Listen, we do it all the time.’ He assured me of that,” Hill said. So with the broker on the phone, “I sat there at the kitchen table along with … the notary, and my husband signed all the papers,” she said. Three years later, after Herb had died, Hill discovered the broker had failed to tell her that getting her name restored to the title would be costly and wouldn’t happen automatically, as she had been led to believe. “I was just shocked and I called them and said, ‘You must’ve made a mistake,’” she said. Without her name on the title, she discovered, she no longer had any legal claim to the property. “I gave that money thinking I was going to be protected in my home,” she said. Hill is far from alone. Sandy Jolley, a reverse mortgage customer advocate who is helping Hill fight against foreclosure, said she knows of many cases in which brokers gave prospective customers false assurances in order to close a sale. “There are two things that happen in (loan) origination -- what’s in the contract and what the agent tells them verbally that’s not in the contract,” she said. Although the roughly 628,000 reverse mortgages outstanding today make up only about 1 percent of the overall mortgage market, regulators are concerned about how they are sold to seniors. The Consumer Financial Protection Bureau warned last month that ads for reverse mortgages often omit information and are misleading. "Among the advertisements we collected, on their face, many contained confusing, incomplete, and inaccurate statements regarding borrower requirements, government insurance, and borrower risks," the agency said in its report. "Incomplete or inaccurate statements made in advertisements about reverse mortgages can pose serious risks to older Americans… because reverse mortgages are complex loans used by older, often financially vulnerable homeowners." Consumer advocates say that while the loans are useful instruments in certain circumstances, brokers frequently target consumers who would be better off exploring other options. “There’s a really small, defined group of people where a reverse mortgage can work. The way they’re marketed sounds like it’s for everybody,” said Ira Rheingold, executive director of the National Association of Consumer Advocates. The most common misconception about reverse mortgages is a big one, said Norma Garcia, a senior attorney with the nonprofit Consumers Union. Many borrowers don’t realize that a reverse mortgage is a loan that needs to be repaid. The CFPB, which interviewed dozens of senior citizens for its study, said many also mistakenly believed that reverse mortgages are a government program or benefit and placed too much trust in commission-driven brokers. In June, they scored a victory when the Department of Housing and Urban Development — the government entity that insures the reverse mortgage market — changed its policies for loans originated prior to August 4, 2014, to help surviving spouses who aren't on the title avoid foreclosure. The department had previously changed that policy for new loans made from that point forward — which elder advocates said didn't do anything to help the seniors already fighting to keep their homes like Arlene Hill. It’s not clear whether the policy change will allow Hill to remain in her home. The company that holds her loan, Nationstar Mortgage LLC, which does business in the reverse mortgage market as Champion Mortgage Co., said it was “currently reviewing the impact HUD's letter will have on (the company’s) portfolio” in response to a query about whether its non-borrower-surviving-spouse policy would change. The original lender, Generation Mortgage Co., did not return calls seeking comment. As a result, many seniors believe that a reverse mortgage covers property taxes and homeowners’ insurance, which it doesn’t, said Sarah Mancini, a lawyer who works with Atlanta Legal Aid and the National Consumer Law Center. Failure to pay either or both can trigger foreclosure proceedings. The CFPB found that much reverse mortgage marketing also downplays the costs and gives the impression that it’s fine to use the proceeds for vacations or other splurges. “They’re often marketed as a ticket to the good life,” said Garcia, the nonprofit attorney. Failing to understand the high stakes involved in taking out a reverse mortgage is often the ultimate pitfall, advocates say, because by the time a foreclosure letter arrives in the mail, paying off the loan is often impossibly expensive. In Hill’s case, it would have cost $108,000 just to be added onto the mortgage document after her husband’s death, because the amount of the loan was based on his age, not hers. Instead, Hill has spent the remainder of her nest egg fighting to keep her home and now, with just $1,200 a month in Social Security income, she fears for her future. Because of important consumer protections, reverse mortgages are safer for borrowers and their spouses today than they’ve ever been. Last summer, HUD implemented policies to ensure that non-borrowing spouses like Mrs. Hill are educated about their rights and responsibilities under a reverse mortgage very early in the loan process. The policy also requires that all calculations of loan amounts be based on the age of the youngest spouse in the home. Last month, HUD announced a new policy that can help Mrs. Hill to stay in her home if she is able to assume the responsibilities of the reverse mortgage, which include paying property taxes and insurance, and maintaining the upkeep of her residence. Information about each of these policies is now included in HUD’s protocol for the housing counseling sessions that are required for all borrowers. For seniors with a lot of equity in their homes, a reverse mortgage is a safe financial tool that can be used as part of a sound retirement funding strategy.